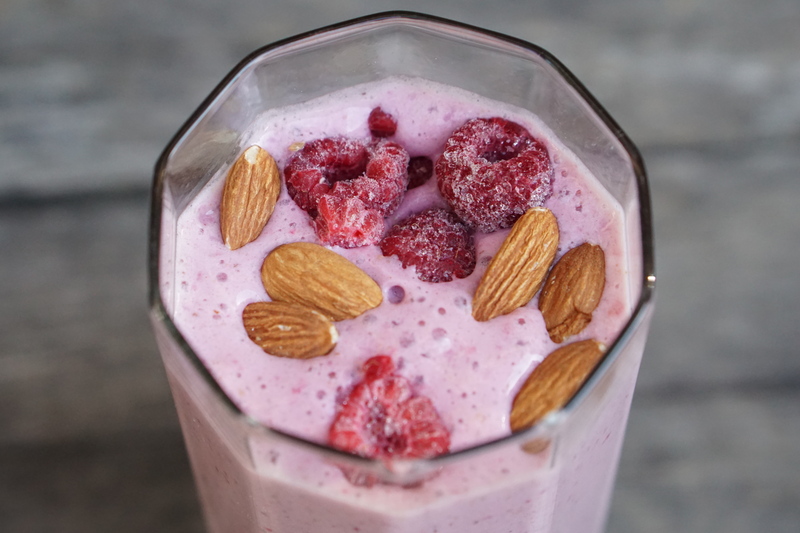 This Raspberry Almond Smoothie is a personal favorite of mine because I love the flavorful combination of revitalizing raspberries and delightful almonds. This raspberry almond smoothie is naturally sweet, savory, and super satisfying. You can enjoy this tasty treat any time of the day! Combine all ingredients in your high-speed blender and blend until creamy! Thanks for stopping by and don’t forget to follow along on my Instagram @bre.healthy!